Speeding is one of the top two causes of fatal road accidents in the US. Many accidents not only harm the drivers involved in the accident, but also prove to be fatal for pedestrians or innocent drivers in nearby vehicles. Speeding is also the leading cause vehicle collisions in parking lots. Our roadway speed bumps and parking lot bumps are used to minimize the chances of collisions and ensure controlled speed of the traffic to prevent human, vehicle or construction loss. 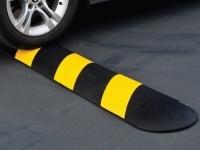 We offer eco-friendly speed bumps and speed humps, manufactured with recycled rubber. The parking lot speed bumps are available in sizes up to 20 feet, whereas the roadway speed bumps are available in sizes up to 30 feet. Our speed bumps and speed humps can be easily installed or removed from the roads, highways and parking areas with the help of light tools. 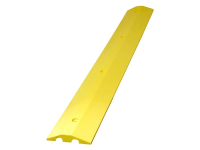 This allows temporary or permanent placement of the speed humps as required. 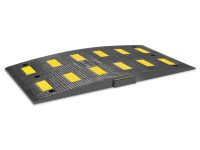 We offer commercial-grade, heavy duty speed bumps for maximum durability. The speed bumps have been designed and manufactured to withstand regular wear and tear, absorb shocks and avoid chipping or cracking due to high-speed vehicles. When installing the roadway speed bumps or parking lot speed bumps, you need to follow the steps given below. Create a blueprint or sketch of the application area such as designating the work zone, buffer zone and clear zone. The roadway speed bumps should be placed at a distance of 60–100 feet near the buffer zone. If there is no construction or repair work going on at the road or highway, the speed bumps and speed humps should be placed at least 30–50 feet apart. Parking lot speed bumps should be placed after every 10–15 parking spaces. For a two-way traffic taper, sketch the speed bumps and humps from the centerline of road. The speed reduction devices need to be placed at a distance of approximately 20 feet. 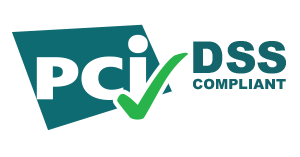 The placement area should be checked for curves, slopes or any kind of landscaping differences, which may cause accidents. Roadway speed bumps should be placed at such areas to avoid collisions or reduce vehicle speed for additional safety. Reduced Accidents and Damage – Speed bumps and speed humps can be used in parking lots or at roads and highways. By reducing the speed of vehicles where needed, roadway speed bumps or parking lot speed bumps reduce the chances of accidents and damage caused to pedestrians, vehicles and nearby constructions. Ease of Installation and Replacement – Our speed bumps can be easily installed or replaced with light tools. Cost-Effectiveness – Traditional concrete speed bumps require a lot of time for construction. The cost of concrete speed bumps is also 2X higher than our replaceable speed bumps. Eco-Friendliness – The installation or replacement process is eco-friendly as speed bumps can be installed without causing any harm to the surrounding natural habitat. 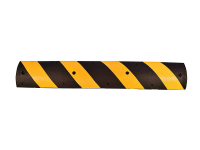 Maximum Visibility – Our roadway speed bumps and parking lot speed bumps have been designed in standard yellow and black colors to maximize visibility from further distances. Variety of Suitable Sizes – The speed bumps are available in a variety of sizes and can be customized according to your needs. Manufactured with advanced technology, our speed bumps suit any kind of road construction materials, such as asphalt or concrete. To choose the best speed bumps according to your needs, measure the placement area and prepare a blue print or sketch for placement. Measure the required length and width of the speed bump. Now, consider other road safety accessories, such as flashlights to increase the visibility of speed bumps or stop / slow signs. Discuss your requirements with our representative before placing the order.